The Rankin Bass stop-motion movie The Year Without a Santa Claus has become a holiday classic adored by children and adults around the world! 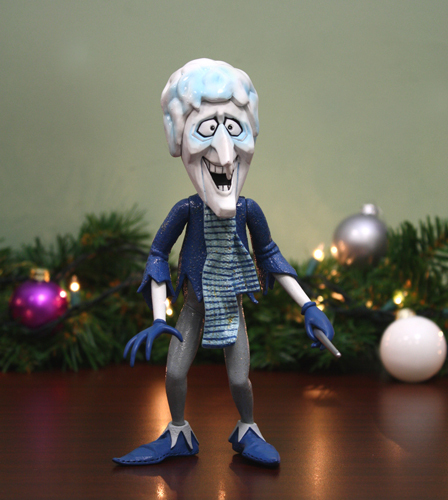 Now you can bring it to life with this 7″ scale Snow Miser! He’s fully poseable and comes with an icicle cane. A terrific gift any time of year!